Clarence Leonidas "Leo" Fender (August 10, 1909 – March 21, 1991) was an American inventor and pioneer of the electric guitar and amplifier that bear his name. He founded the Fender Electric Instrument Manufacturing Company ("Fender") in 1946 and in January 1965, he sold his company to CBS. This is what is meant when people refer to a Fender guitar being pre-CBS (prior to 1965) which are the most collectible of all Fender electric guitars. The guitars, bass guitars, and amplifiers he designed from the 1940s on are still the standard with musicians today in terms of functionality and elegant design. The Fender Telecaster (1950) was the first mass-produced solid-body electric guitar; the Fender Stratocaster (1954) is among the world's most iconic electric guitars; the Fender Precision Bass (1951) set the standard for the new era of the electric bass guitar, and the Fender Bassman amplifier, popular enough in its own right, became the basis for later amplifiers (notably by Marshall and Mesa Boogie) that dominated rock and roll music. Believe it or not, Leo Fender was inducted into the Rock and Roll Hall of Fame in 1992 - a unique achievement considering that he never learned to play the instruments which he made a career of building. Yep that's right! Leo couldn't play guitar! But he sure made it great for the rest of us! Leo Fender at his work bench in 1977. The man who revolutionized the mass production, simplicity in elegant design and functional form electric guitar that truly helped give birth to rock n roll. The Fender Stratocaster broken down to its exact parts. No more and no less needed for this 1954 masterpiece of design and functionality that is the Strat. A truly road worn battle axe of Cheap Trick's Rick Nielsen. Original neck on this '52 Tele. Beautiful Mary Kay Pink or Shell Pink 1957 Fender Stratocaster with tremolo bridge with cover plate design. Highly sought after these days. 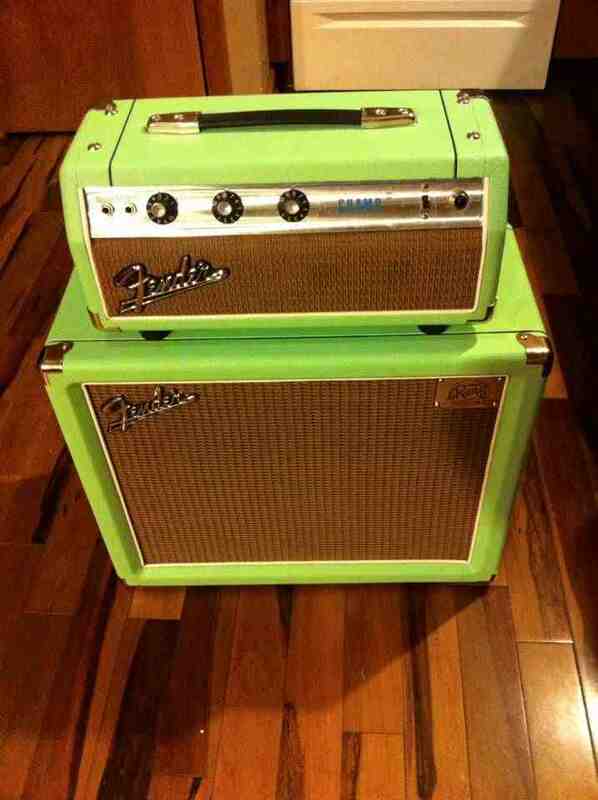 Can't beat the tone of an original '65 Fender Deluxe Reverb. Single 12" speaker. Ten years in, the Fender Telecaster was as popular as ever, despite the introduction of the Fender Stratocaster, Jazzmaster, Jaguar and other notable models. 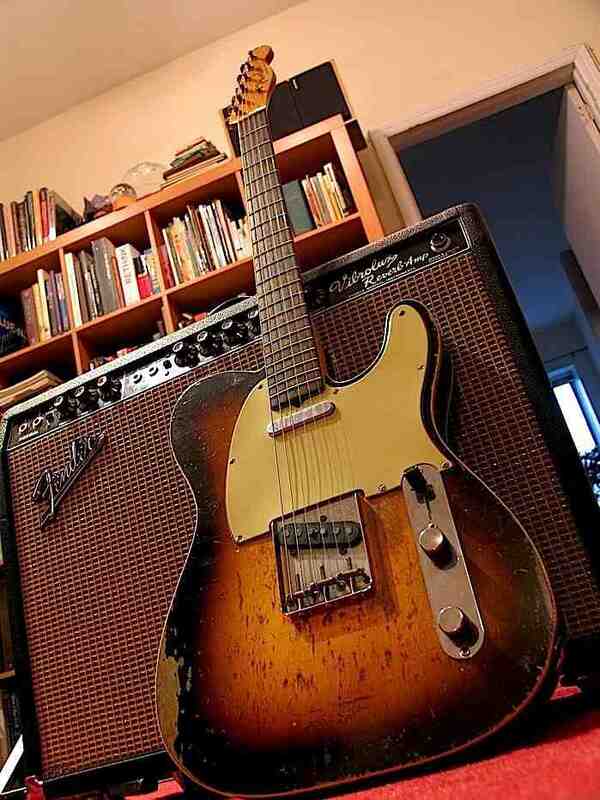 The original Fender Telecaster from 1960. This little beauty is from Guitar Stories USA member Jonothan Burns who had this 1971 Fender Champ split into head and cabinet and custom covered in lime green. Love it! Jimmy B's custom model of Fender Telecaster. His playing with Elvis Presley and many greats was legendary. Beautiful Yngwie Malmsteen Fender Stratocaster, complete with scalloped fretboard. A unique version of the Fender Telecaster with double coil pickups instead of original design single coils. Beautiful blue swirl paint job on this Fender Stratocaster. Note the double coil pickup in the bridge with Floyd Rose tremolo. Ready for business! 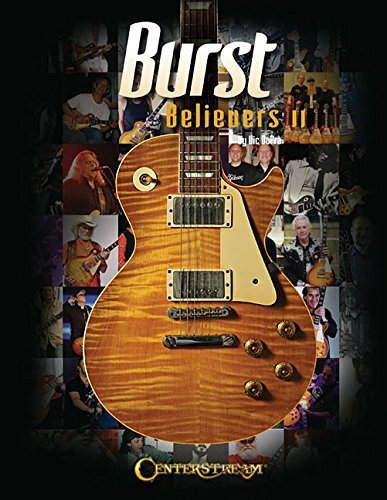 Guitar Stories USA is for the electric guitar fanatic who plays, covets and loves everything electric guitar. With photos, blog articles, guitar history, legend profiles and interviews, we tell the stories behind the world's greatest guitars and the people who play them. Meet Vic DaPra. 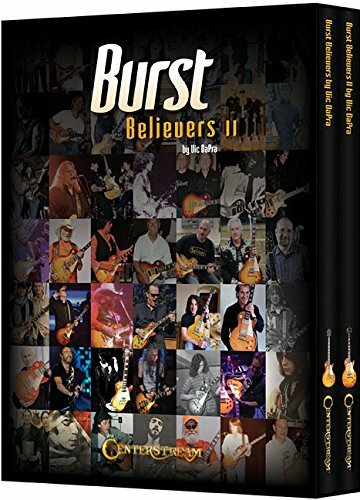 Our interview with Vintage Gibson Les Paul authority and author of "Burst Believers I, II and now III." Great photos and stories about the legendary 1958-1960 Gibson Les Paul Bursts, some say the greatest electric guitars ever made. A Blog dedicated to the Electric Guitar Fanatic in all of us who play, covet and love everything electric guitar. Thanks for joining the Guitar Stories USA VIP Member List! Now you are eligible to receive exclusive and priority content and are eligible to enter to win the prize in our monthly VIP Member Gallery Story and Photo submission contest. Let's hear your guitar story and see your favorite guitar so we can feature you on our site. 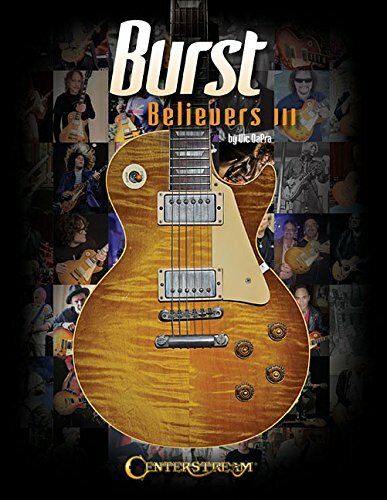 Burst Believers 3, the new book from Les Paul expert Vic DaPra is available for pre-order here. Publication date is January, 2017. Click the image below to get yours today. 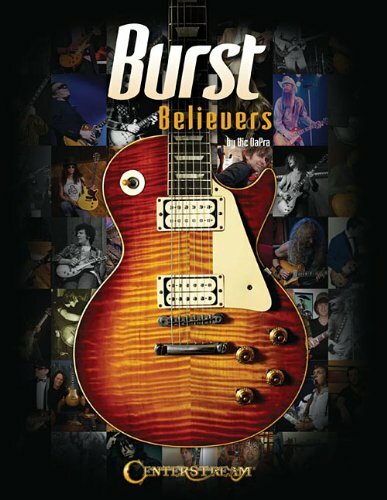 Awesome vintage, historic and rare Gibson Les Paul Bursts profiled with vivid photos and stories. More from "It Might Get Loud"
Jimmy talks "Whole Lotta Love"
By submitting photos and stories, you give us permission to publish and warrant that the material is owned or licensed by you.